Protect your professional camera from inclement weather with the camRade wetSuit. Specifically designed for the Canon XA30/35, the wetSuit protects your camera without inhibiting access to the controls or LCD monitor. The wetSuit is made of near-silent fabric that helps keep unwanted wind and rain noise at bay, and has openings that reduce the chance of the camera overheating by allowing hot air to escape. The wetSuit uses zippers and elastic fasteners to enclose and protect your camera in a weatherproof wrap while critical components, such as the lens opening, viewfinder, and microphone, are left unimpeded. This design provides your camera with the necessary cover while keeping image and sound quality mostly unaffected. Once the weather clears up, the entire wetSuit can be folded down and packed into the included waterproof zippered pouch. 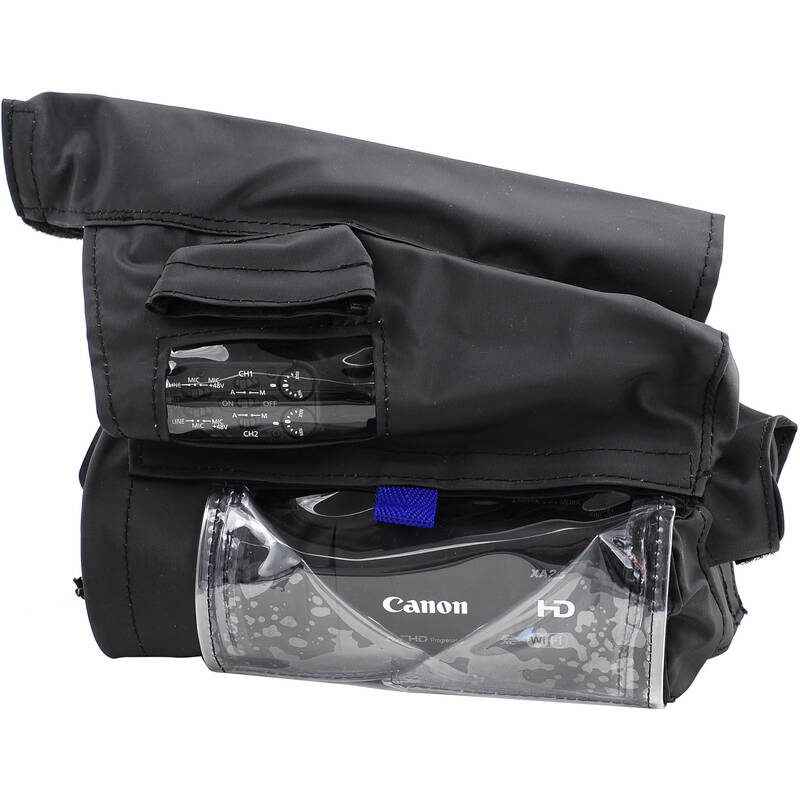 Box Dimensions (LxWxH) 13.0 x 11.0 x 1.1"
wetSuit for Canon XA30/35 is rated 1.0 out of 5 by 1. Rated 1 out of 5 by Randy M from No instructions can't install No instructions and many many Velcro straps and fabric flaps. Spent over and hour and still can't find a way to get it over the camera. Will return unless someone can explain how to use it.